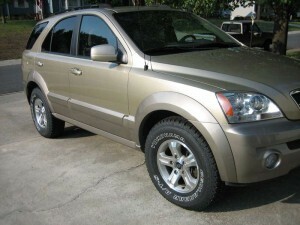 I recently installed a up sized set of Yokohama Geolandar A/T-S Tires on my 2003 Kia Sorento. 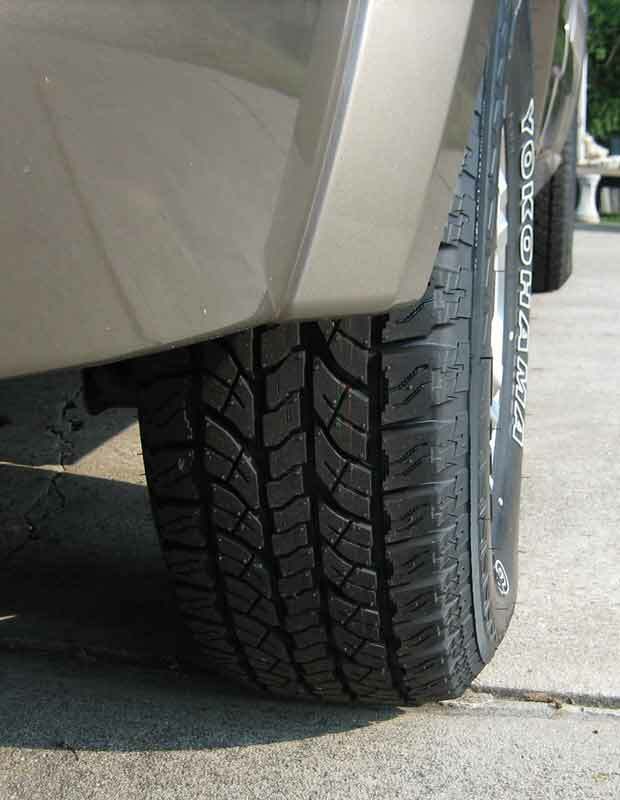 The Geolandar A/T-S Tires run about 5% taller than the stock Michelin Cross Terrain SUV tires that came with the Sorento. Even though the Yokohama Geolandar A/T-S Tires run a bit larger I still wanted to go a bit bigger on the size. I went with the 255/70/16 size over the stock 245/70/16s that came on the Kia. I was sweating some when the tires were being installed on the Sorento. They were definitely taller than the Michelin Cross Terrains but the clearance was good enough. 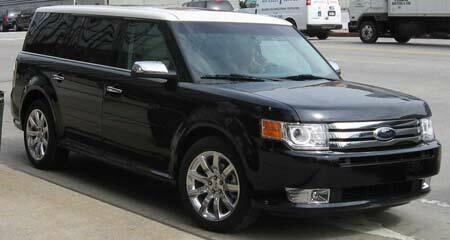 I have used the tires already off road and there has been no scrubbing on the wheel wells at all. 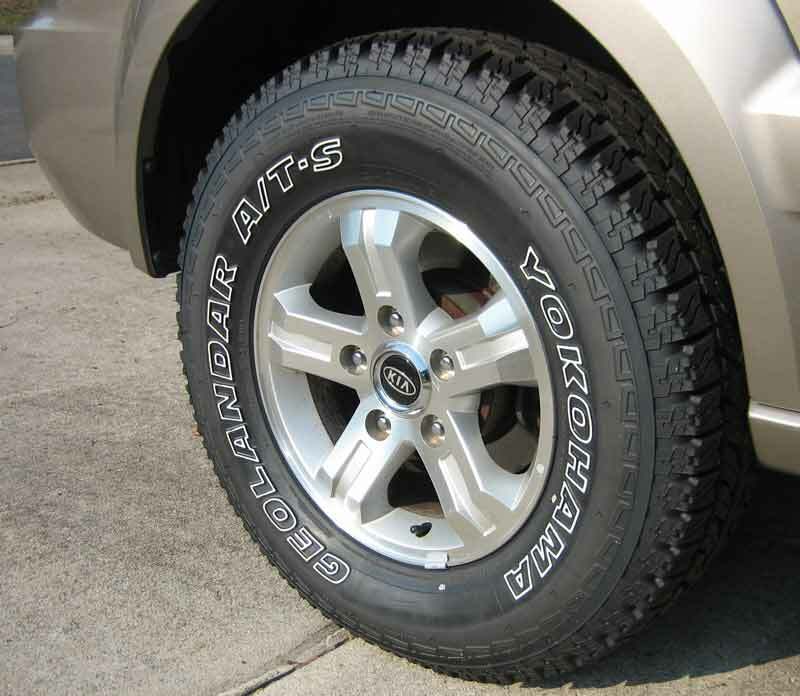 The Yokohama Geolandar A/T-S tires are the quietest A/T tires I have used. Not as quite as the Michelin Cross Terrains but very quit none the less. They do pick up more rocks that don’t seem to come flying out until you reach 25MPH. 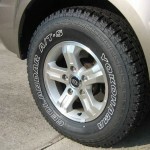 The Geolandar A/T-S tires clean themselves better in all conditions than any BFGoodrich A/Ts you can buy. I now have 5000 miles on the tires and still quite as they were new. I will be buying a set for my 4-Runner soon and I can comfortably recommend the tires to anyone needing more traction for occasional off-roading with a quite on road ride. 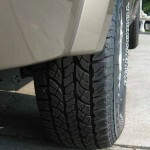 Read The Tire Rack’s Customer Reviews before you buy your tires. 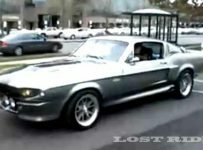 Begin by selecting your vehicle. Then select a tire.